We all have a superhero within us… waiting to be unleashed. Both at work and at home, our lives are growing more and more hectic, and it can be hard to survive, much less, thrive at the pace of progress. Technology has brought new and better ways to create, to communicate, and to collaborate, but has also filled our time with clutter, craziness, and chaos. There is more potential than ever to fill our careers and our lives with magical experiences, but we seldom make enough time or space to realize that potential. 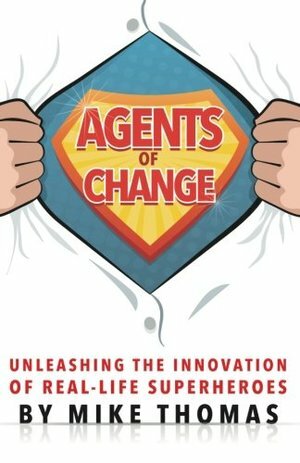 Agents of CHANGE is a collection of snackable stories, examples, and fables that provide ideas and insights for creating a super powered innovation program, organizational culture, and purposeful life. While our lives are surrounded by kryptonite that can keep us from finding and fulfilling our purpose, this book will help you to unleash your inner superhero and to become an Agent of Change.